Bouvetøya was formed in 2008 as the electronic music avatar of Michael Jones. 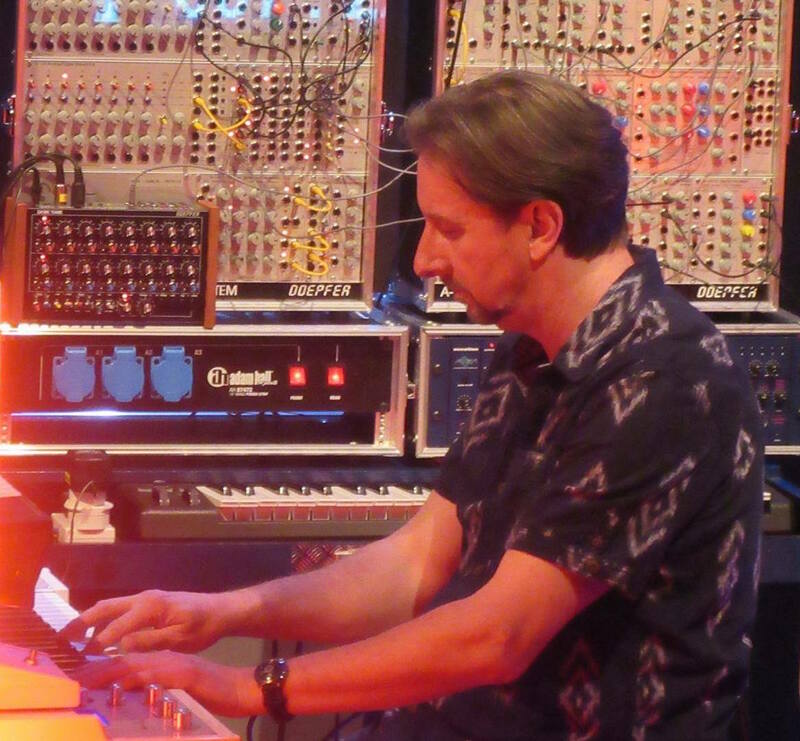 After a lifetime listening to the pioneers of electronica, namely Tangerine Dream, Klaus Schulze, Vangelis, Jean Michel Jarre, and the sound creators of the BBC Radiophonic Workshop, Michael acquired his first real synthesizers during the 1990s. 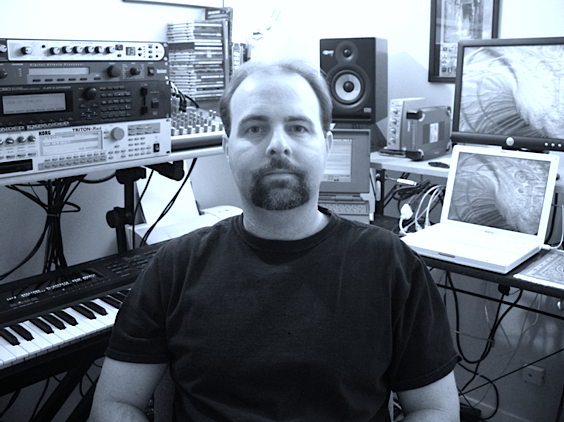 During the early 2000s, he migrated from tape to a software DAW and began constructing a small home studio. 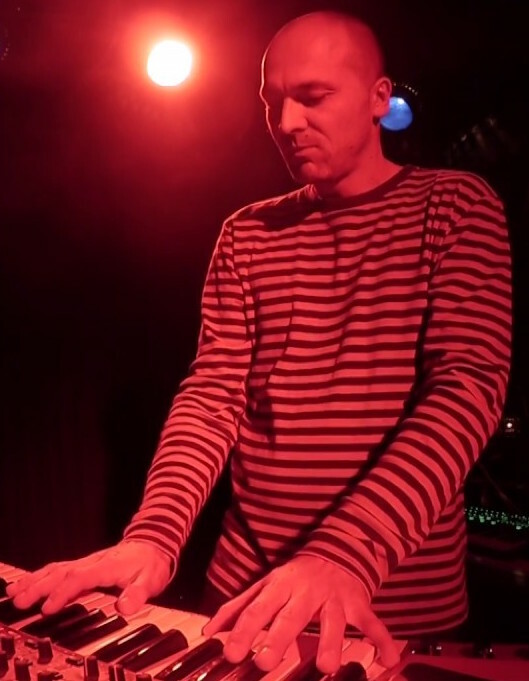 Contemporary influences such as Boards of Canada, AIR, and FSOL also began shaping his music and the first ambient soundscape demos emerged and circulated among his fellow EM peers. With the encouragement of those around him, Michael began to look for an internet outlet for his music and the concept of Bouvetøya was conceived. The name is from the Norwegian spelling of Bouvet Island in the South Atlantic, the most isolated island on the planet. This is a reference to the Bob Moog quote that "electronic music is played by musicians who work alone and listened to by people who listen alone." All releases are on SynGate Records. Here is the Top 20 Monthly Report for January. Since 1993, Jeff Pearce has been well known to the ambient/new age music community for his unique approach to the electric guitar. He has been called "one of the top two electronic guitarists of all time" by AllMusic while reviewer John Diliberto wrote in Billboard magazine that Pearce is "one of the best" guitarists to follow the solo electric guitarist concept. Whether playing intimate acoustic-based music or crafting deep-space ambient guitar drifts, Jeff composes music with equal parts melody and mystery. His most recent project, "From the Darker Seasons," features his signature ambient guitar sounds on songs that capture the "darker seasons" of Autumn and Winter. In October 2017, "From the Darker Seasons" charted in the top ten of Billboard Magazine's New Age chart. Jeff is an active live performer, having played venues ranging from historic churches and concert halls to planetariums and dance clubs. His live performances are memorable events, mixing songs from his CDs with humorous storytelling and surprising musical improvisations. He has shared the stage with such performers as Will Ackerman, Stephan Micus, Steve Roach, Jonn Serrie, and Liz Story. With thirteen full length CDs to his name, Jeff's music has received many honors and much airplay since his first release in 1993. Jeff's music has been reviewed in Billboard, Downbeat, and Guitar Player magazines, and music from his CDs has appeared in projects for Mercedes-Benz and Muzak. Many of his albums have won "best of" awards. New Age Voice magazine named "To the Shores of Heaven" best ambient album of 2000, while his CD "Rainshadow Sky" won the ZMR "album of the year" award in 2008. In 2014, "With Evening Above" was the #1 airplay album of the year, and was voted "Best Ambient Album" at the Zone Music Reporter awards show in New Orleans, Louisiana, while his 2016 album, "Follow the River Home" was voted "Best Ambient Album of 2016" at that year's Zone Music Reporter awards show. Jeff's music can be heard worldwide on the Weather Channel as well as on the "Music from the Hearts of Space" and "Echoes" syndicated radio programs, and on the SiriusXM Spa Channel. Here is the Top 20 Monthly Report for February. Here is the Top 20 Monthly Report for March. All releases are on PoundSounds. Here is the Top 20 Monthly Report for April. This month's Special Focus is on Craig Padilla and his collaborators. 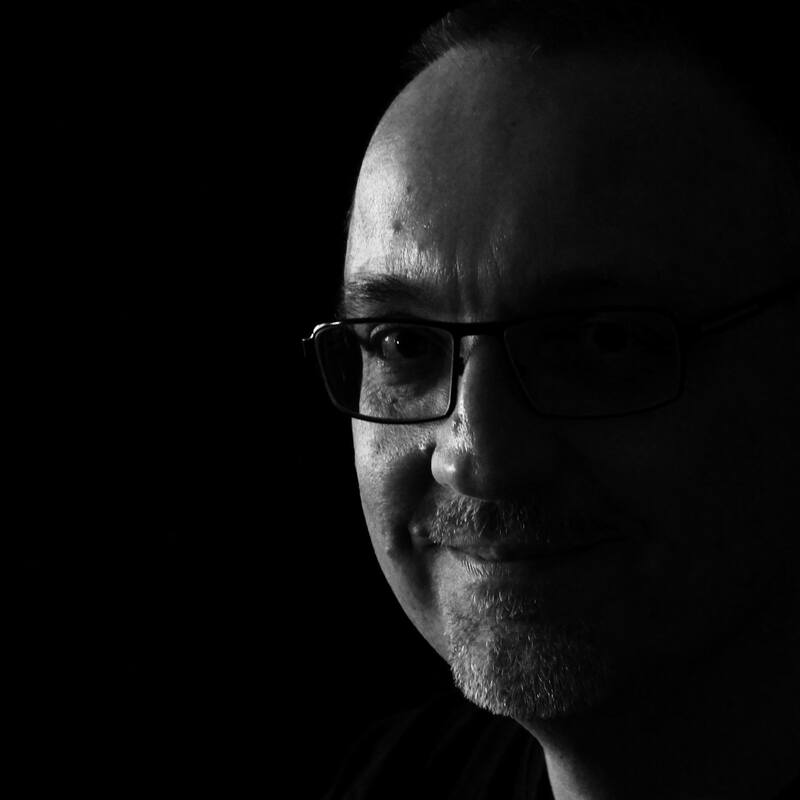 Craig Padilla is an internationally celebrated and award-winning electronic music artist and video producer. 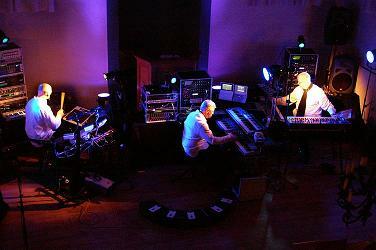 After more than two decades of performing live and recording his own music using many vintage analog and newer digital synthesizers, his style reflects the classic electronic musicians of the past, while finding new sound and music styles that are unique to the true ambient electronic music genre (often found in categories from New Age to Trance to Electronica). 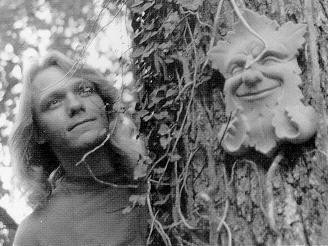 His music and creative environment is inspired and influenced by the lands surrounding Coeur d’Alene, Idaho where he once resided, and by his earliest influences of being raised in far-northern California where he resides again, where he first explored the works of Wendy Carlos, Klaus Schulze, Tangerine Dream, Kraftwerk, Steve Roach, and many other pioneers of the electronic form. Never letting technology overcome the humanity in his compositions, he creates electronic music that is rooted in tradition while still sounding new, interesting, and fresh. Craig has always endeavored to paint musical landscapes with a rich palette of infinite timbral complexity, guaranteeing to take the audience to a different place on each listen, making every disc a recording that is a highly sculpted, crafted musical experience to be treasured and played indefinitely. He has composed soundtracks for various television, theatrical, and film productions. His music is heard on XM Satellite Radio and radio stations throughout the US, and on celebrated radio programs “Echoes” and “Hearts of Space” repeatedly. He is a top-selling established artist on the Spotted Peccary Music label and has appeared on releases on the Lotuspike, Fruits de Mer Records, Groove Records, Space for Music, Monroe Institute Hemi-Sync, and Ultimae labels. Zero Ohms: The Tao of Zero Ohms (literally: way of no resistance) is to listen while letting go. Music possesses the capacity for awakening a deeper part of ourselves which lies within. Zero Ohms, a.k.a. Grammy nominated Richard J. Roberts, is driven to find this bountiful experience with open eyes, ears, and heart, seeking to find himself and the golden thread of truth within. From this, he is compelled into expression. A writer, painter, musician, teacher and producer, Roberts uses a range of instrumentation; woodwinds from around the world and electronics in a versatile palette of sonic colors. His sound is at once ancient and contemporary. For the listener, the golden thread can be more easily discovered via the clarion music of Richard J. Roberts. To him, the way is clear; to listen while letting go. This is The Tao of Zero Ohms. Skip Murphy has collaborated on may albums with Craig. Skip began studying music synthesis in the early 1970s at Pasadena City College on a Moog Model 3. That led to an obsession with building and designing analog synthesizers. He met Craig after seeing him in concert by at Shasta College in Redding. The two hit it off. With Skip's technical EM skills supplementing Craig's amazing innate musical talent, they started perfoming together as a Space Music/Berlin School art music duo carving out new soundscapes at planetarium shows, in videos, and on recordings over the course of about 20 years. Skip currently lives in Redding, California, with most of his time spent enjoying his three grandchildren. Here is the Top 20 Monthly Report for May. Broekhuis, Keller, and Schönwälder consists of Dutch drummer/percussionist and sound technician Bas Broekhuis, German keyboard player and sequencing specialist Detlef Keller, and German sound designer Mario Schönwälder. Since September 1994, these three can be found on stage on a regular basis having performed in France, the UK, Poland, the Netherlands, Italy, Germany, and the US. They have an extensive discography. These three friends always have a lot of fun with their musical adventures. Broekhuis and Keller have a technical background, developing, altering, and repairing instruments and other electronic devices. They do the bulk of the programming in the band. Schönwälder is the organizational mind, taking care of album releases, concert planning, and the oh so beloved bookkeeping. BK&S played played live on Galactic Travels on May 10, 2012. Two days later, they played locally at the Soundscapes Concert Series. All releases are on Manikin Records. Here is the Top 20 Monthly Report for June. Klangwelt is German for "world of sound" and is the musical project of Gerald Arend. Gerald is a German audio-designer who works in the multimedia and computer games industry. 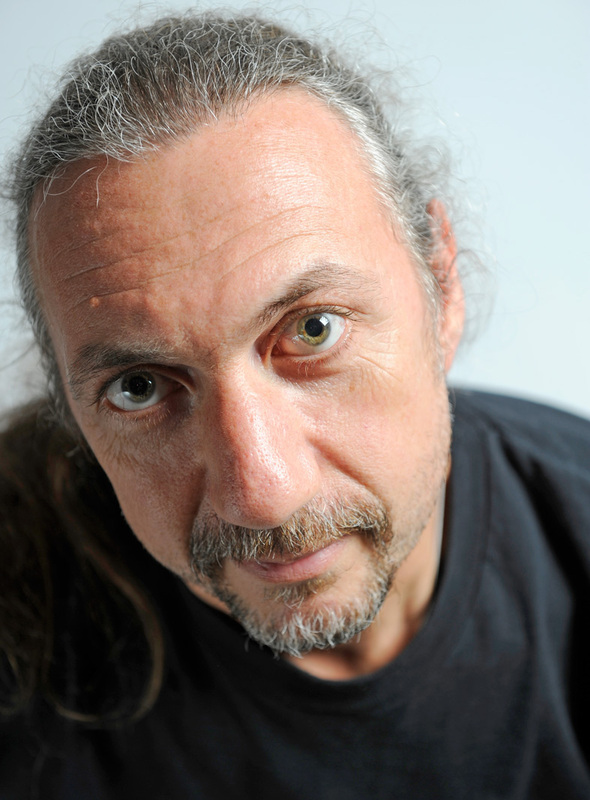 His music is based on the tradition of European electronic music, combining influences of Jean-Michel Jarre, Vangelis, Yello, and others with a unique blend of rich tone colors and occasional unpredictable harmonic ideas. Further traits are his catchy, minimalistic melodies, grooving rhythms and playful sample gimmicks. All releases are on Spheric Music. Here is the Top 20 Monthly Report for July. All releases are on Steve's Timeroom Editions label. Here is the Top 20 Monthly Report for August. Syndromeda is Danny Budts from Belgium. He discovered EM in the mid '70s and built a modular synth in 1979. From "Sin-Syn Studio" in his house overlooking his garden, he is inspired from the outer world with his feet on the ground. Syndromeda's music is a reflection of his mood, what is in his heart and mind. He shares the positive moments so his listeners may retain positive feelings. Firmly rooted in the Teutonic Berlin School, he also incorporates deep, dark atmospheric soundscapes. Danny believes that music can heal many things and keeps this in mind throughout the creative process. * Mythical Pursuit is an Enhanced CD that includes a Matt Howarth comic. 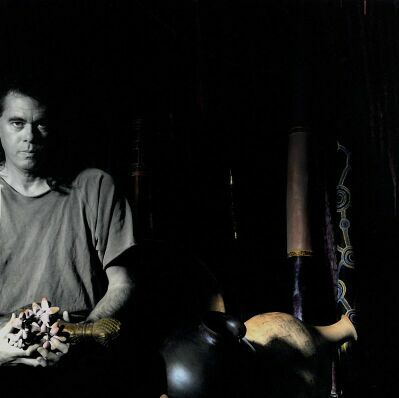 Robert Carty has been creating beautiful deep sonic soundscapes for over thirty years using a wide variety of instruments including synthesizers, samplers, didgeridoo, flute, percussion, earthscapes and voice tones. The music reflects his passion for nature, life, and universal revealings from atoms up through the ladders of DNA into the Cosmic Dreams. This is music for the evolving mind and heart and are always peaceful explorations into emotional qualities. His music is heard on radio stations worldwide. All releases are on Robert's Deep Sky Records. 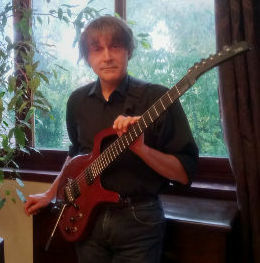 Yves Potin started playing guitar when "Dark side of the Moon," "Close to the Edge," and "Timewind" were just released, opening new musical territories. Jazz was also a revelation to him, especially fusion styles. 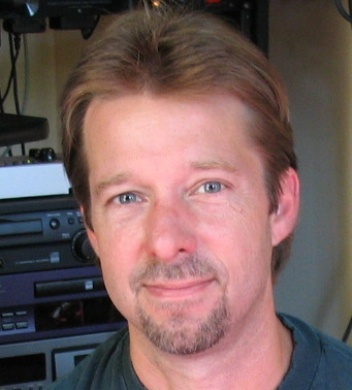 Scott Henderson, in Tribal Tech, was his major influence on improvising techniques, with Michael Brecker, Herbie Hancock, Allan Holdsworth, Pat Metheny and of course Weather Report. Their jazz made of ambiences, moods, climates and Wayne Shorter's sense of tastefully creating melodic improvisations have become timeless. Yves has always been interested in computers. The music you can hear on Jazzcomputer.org's first album was mostly written at the turning of the nineties, using an Atari ST with a couple of hardware synths. During these college years, he also played in many bands, with musicians having fun together, encountering opportunities to learn and extend their musical skills and sensibility. But the ambient feeling at the root of Yves's music always remained. David Sylvian's "Gone to Earth," Mick Karn's bass lines, and Andreas Vollenweider's albums were unforgettable experiences. Later, Steve Roach became a strong milestone beyond German influences. With the spreading of the internet in the late nineties, Yves became more and more interested in technology and networking. Everything started to change, including the way music could be written, performed, recorded and distributed. Computers became powerful enough to host instruments. Music could be self produced aand distributed from a home made server using free software. These ideas were the root of a concept named Jazzcomputer.org where twisted harmonies and improvisations, could be freely distributed in a decentralized way. All releases are self released. Cosmic Ground is the solo project of Dirk Jan Müller of Aachen, Germany. He is the keyboard player of the neo-Krautrock band Electric Orange. As Cosmic Ground, Dirk creates dark and psychedelic Berlin-school electronic music inspired by Tangerine Dream, Heldon, Stockhausen, and Steve Roach. He released the first CG album in 2014. All releases are released on Studio Fleisch Records. Here is the Top 20 Monthly Report for December. Galactic Travels™ is designed to bring WDIY listeners hour-long soundscapes of electronic, ambient, and space music.